Authored by epriestley on Tue, Apr 9, 8:02 PM. Depends on D20383. Ref T13272. Fixes T12363. See PHI997. This gets the edit flows for tab panels functional again. 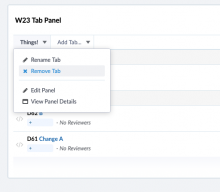 They aren't nice, and a lot of the workflows are fairly janky: for example, most of them end up with you on the tab panel's page, which isn't useful if you started on a dashboard page. However, these flows were extremely janky before anyway (see T12363) and I suspect this is a net improvement even though it's a bit of a mess. I anticipate cleaning this up bit-by-bit in future diffs. 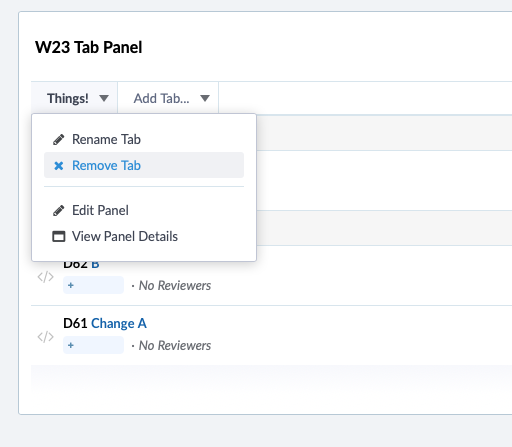 Broadly, I'm trying to move toward a more visual/contextual editing flow where you use dropdown menus to "Add Tab", "Rename Tab", "< Move Tab That Way", and so on. 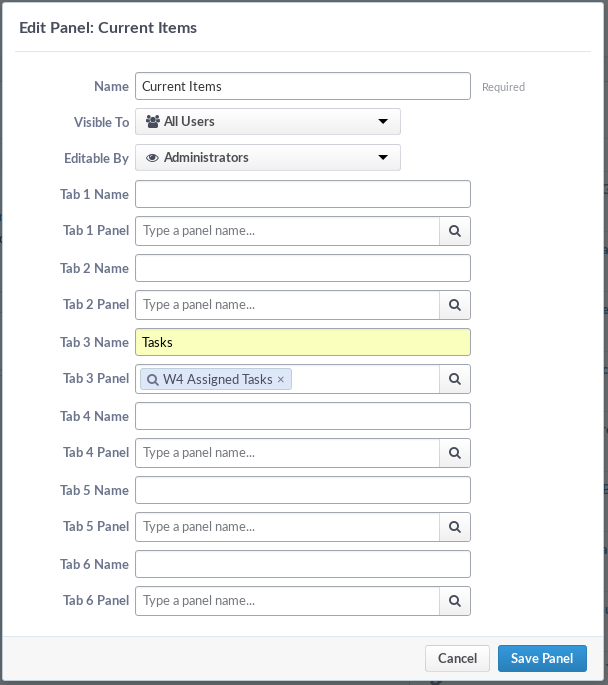 This may break "Add Existing Panel" on Dashboards, but the change (setPHID(phid) instead of setPHID(id)) is obviously correct and that's the next major thing I'm planning to fix. Not just throw new UnimplementedException()? You can't actually hit this right now without editing the URI, but it turns into a "controller didn't do anything with this request" exception with mostly the same flavor as NotImplemented.